For anyone who grew up in the 1970s, our headline phrase may ring a bell - it’s from the TV show The Six-Million Dollar Man. The show was about an astronaut who became a super-human when his body was rebuilt with bionic implants. 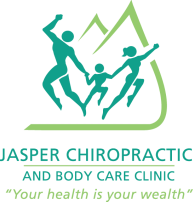 So, what does a TV show have to do with Jasper Chiropractic and Body Care Clinic’s training programs? While undertaking an athletic training program won’t make you a super-human like Steve Austin, it can help you gain strength, speed, agility and stamina. How can a personal trainer help you achieve your athletic goals? If you’ve been out there consistently for several weeks or months and don’t seem to be seeing any significant improvement, a training program could help you get past your athletic plateau. Dr Boyne can, with his years of experience, create more effective workouts or a better dietary plan. He can also help you to set realistic goals and hold you accountable to them. For many people, a training program holds the key to getting started on their athletic journey. Depending on your past experiences, you may simply not know where to start. takes some prior knowledge. If you don’t have it, the task can be overwhelming and you may quit before you even start. What if you’re not an athlete? For the record, anyone who pursues an activity for enjoyment is an athlete. If you enjoy curling, golfing, skiing, snowboarding, or any other pastime that requires you to move your body, you ARE an athlete. a personal training program might just help you get there. If you would like to learn more about how a training program might benefit you, please contact Dr. Boyne.